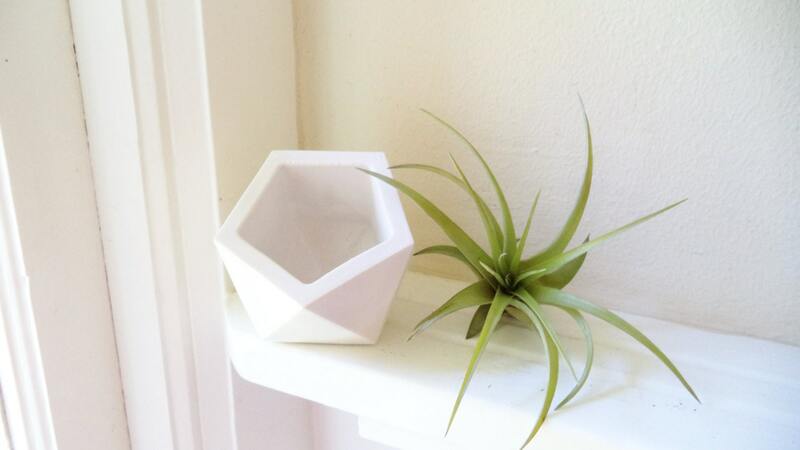 I make each of my geometric planters from scratch, cast in super smooth gypsum plaster! Each one is mixed, poured, cast, cleaned, oven dried, sanded, cleaned again, primed and painted. This one measures 3"x 3" *** PLEASE NOTE THESE MEASUREMENTS**** it is small. And has a 2.25" opening for the plant to sit in. 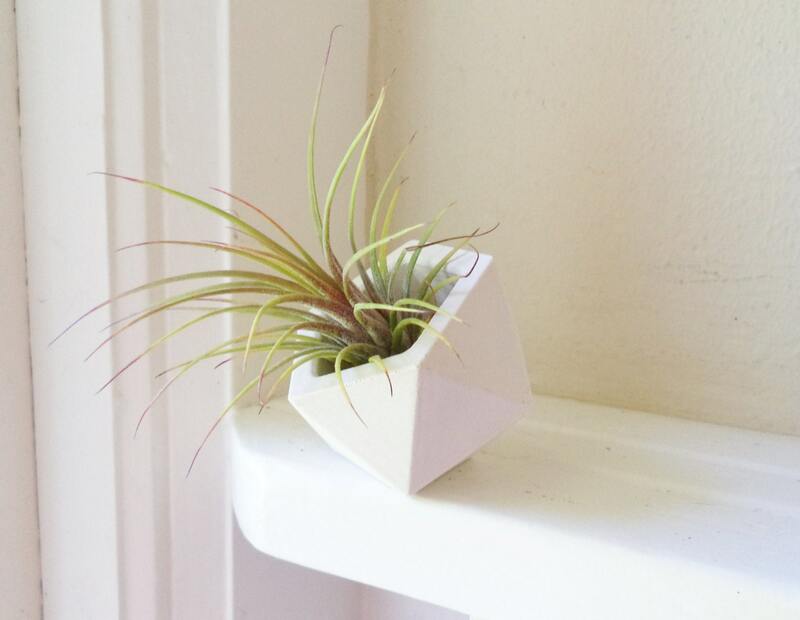 Will come with an air plant! Also super sweet as a ring dish! Shown here matte white, I am happy to make these in any colors you want! Please feel free to send me any questions... bulk discounts available! 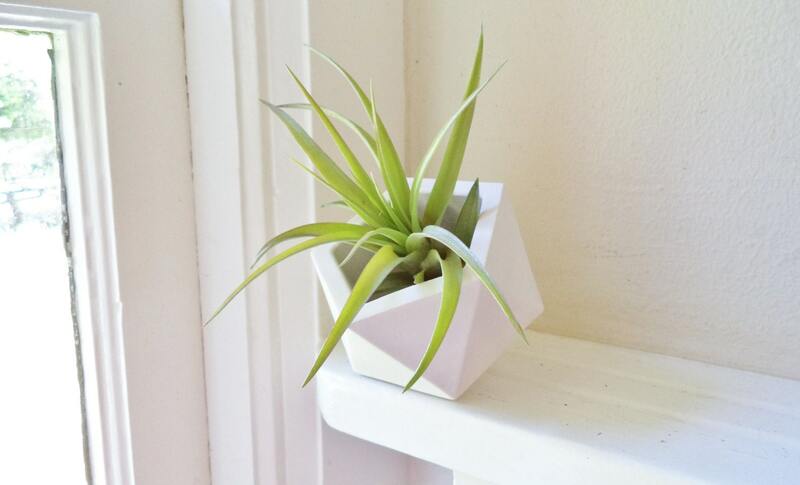 See my shop for other geometric shapes, smaller and larger...and more hand made home accents. All products are handmade, so irregularities from piece to piece .... bubbles or tool marks are natural. Beautiful! Extremely well made!!! Very nice. Highly recommend. Packaged extremely well. Thank you!!! 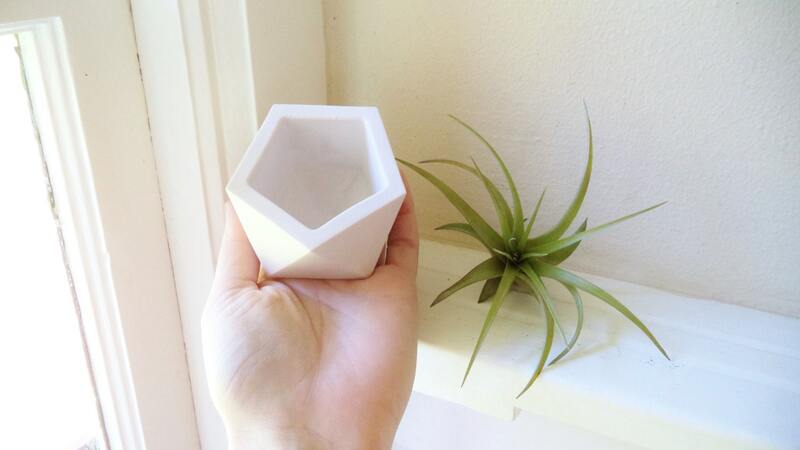 I love this air planter holder!